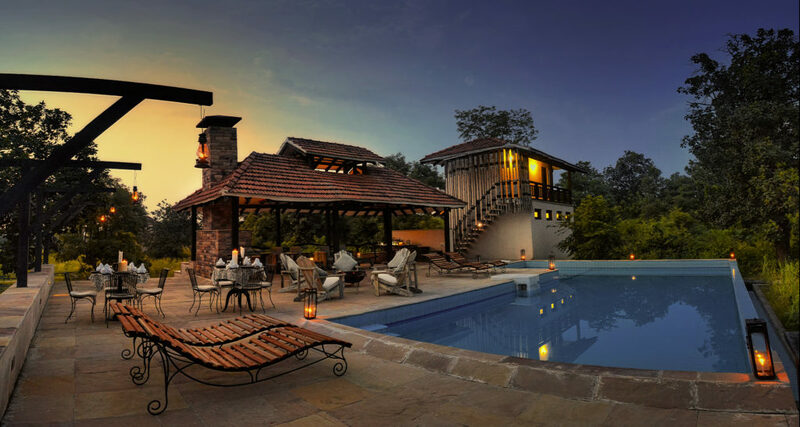 The jungles in the Central Highlands are bustling with activity, so are our lodges at Pugdundee Safaris. We can’t seem to contain our excitement as we bring to you this Summer Special quarterly newsletter. One that is brimming with news that we are thrilled to share with you, our dear patrons and well wishers. We are humbled by the prestigious awards and recognitions we have received this quarter, and honoured to celebrate these laurels. Denwa Backwater Escape at Satpura won the prestigious Best Wildlife Lodge Award at the Outlook Traveller Boutique Awards 2018. 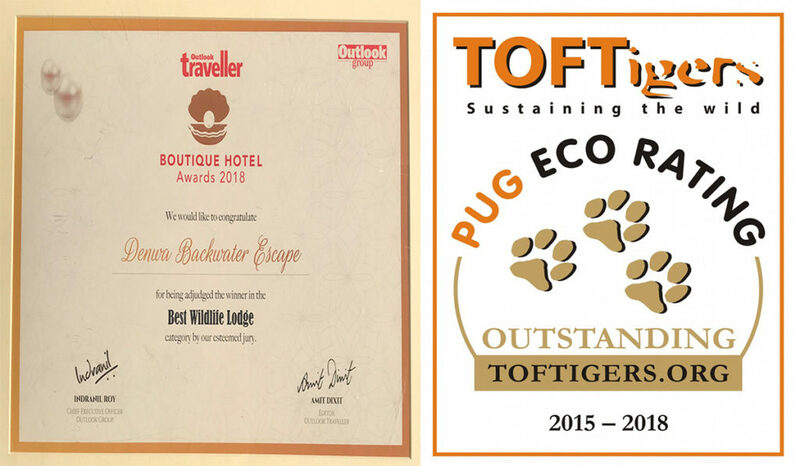 Kings Lodge & Treehouse Hideaway, Bandhavgarh and Kanha Earth Lodge, Kanha have received the highest PUG eco-rating of “Outstanding” in the most recent audit by TOFT (Travel Operators for Tigers). Outstanding rating is awarded to accommodation providers which are exemplary industry leaders. They make sustainable development and environmental and socio-cultural issues their priority. They lead with examples and become case studies for others to follow. 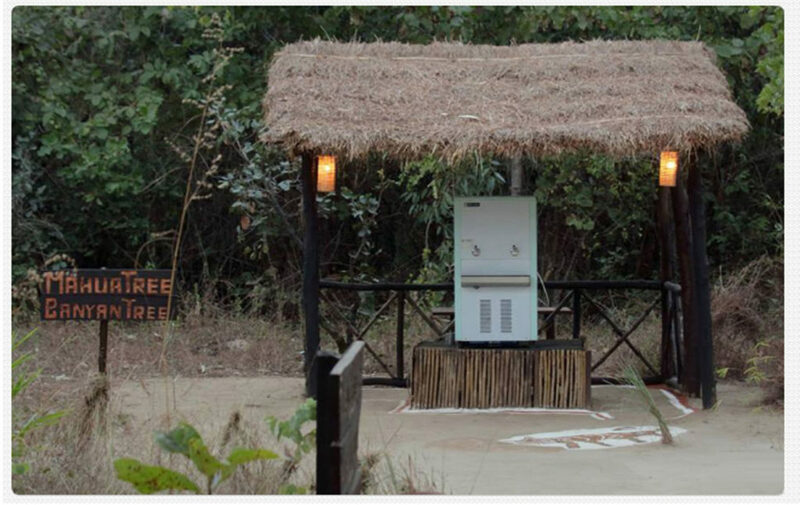 Denwa Backwater Escape, Satpura has received the PUG eco-rating of “Quality” in the TOFT audit. Though considered good, we believe there is more work for us to do here. All these lodges focus on providing enhanced nature experiences that have minimal impact on the environment. Did you know, now is the ideal time to catch our big cats cooling their heels? 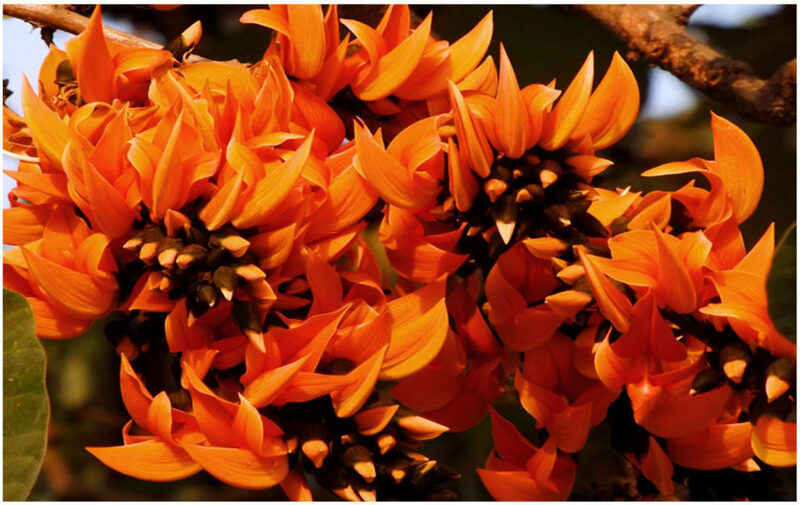 Flame of the Forest or the Palash flowers have ignited a conflagration of colours in jungles this season. These stunning red and orange flowers bloom as winter hangs its boots, welcoming the summers with much fanfare. 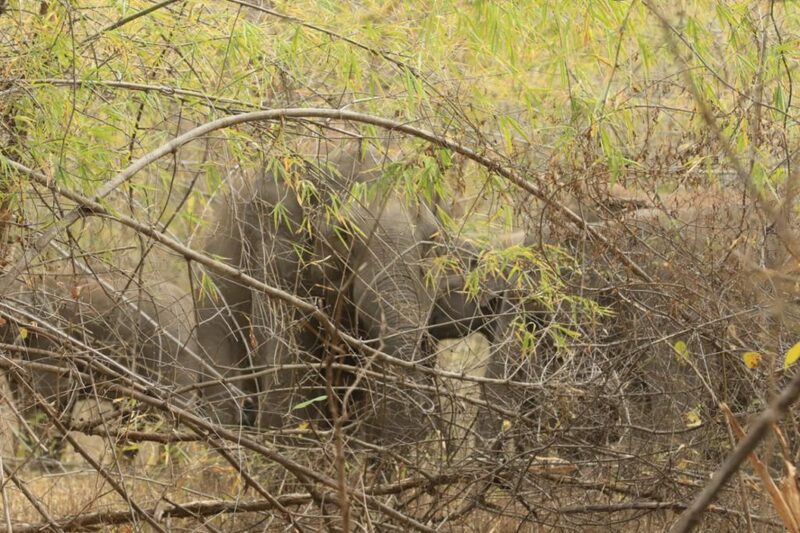 Recently a majestic herd of elephants made their way to the forests of Bandhavgarh. Sources claim that they have travelled almost 1500 kms, all the way from Orissa via Chattisgarh. The herd of over twenty elephants, also includes a tusker and baby elephants. 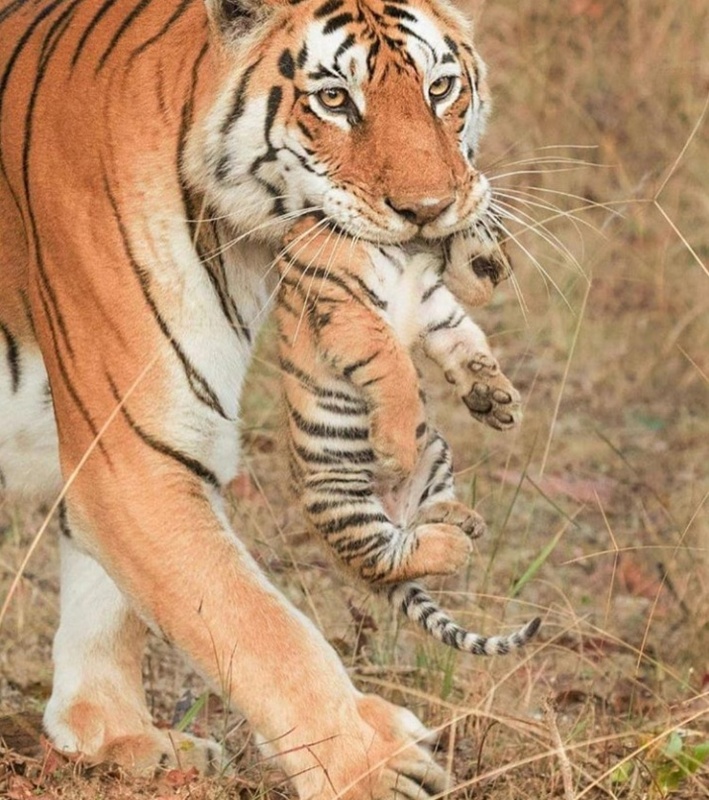 Collarwali, or the Queen of Pench, the celebrity tigress, known in the jungle circles for giving birth to the highest number of litters in the wild, was spotted with her new born brood. A very special sighting to begin our year with. This tiger apparently got into a duel with a porcupine. Notice the aftermath? A quill attached to its neck, as it gathers a breather post the combat. 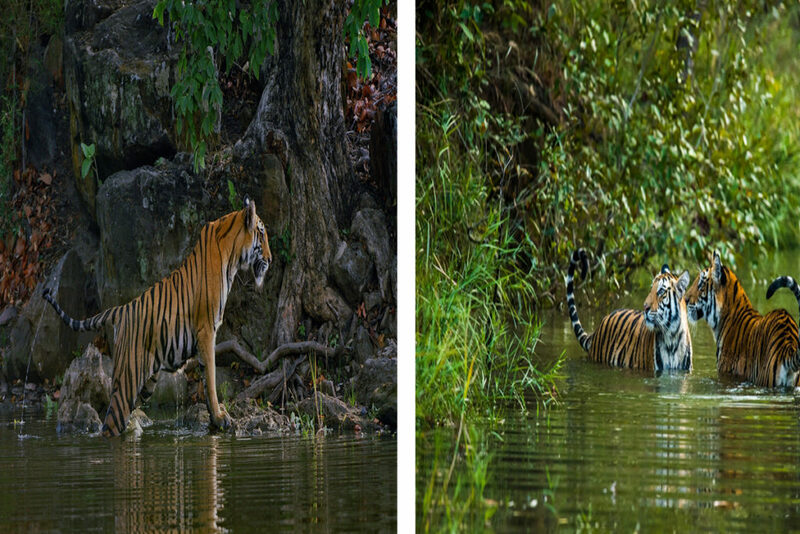 Our night cameras or trap camera at King’s Lodge, Bandhavgarh have caught quite a few jungle inhabitants on the romp. Some of these include the common palm civet and small Indian civets, foxes, wild boars and porcupines, to name a few. 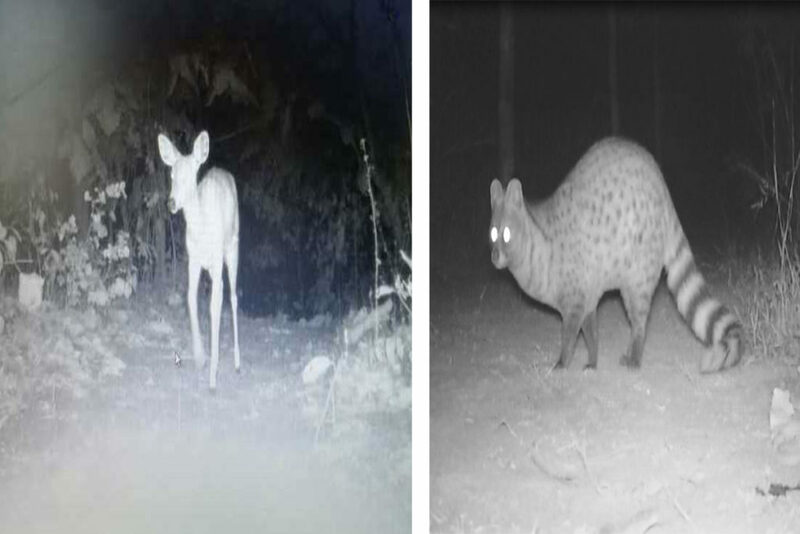 In Pench, these cameras facilitated very rare and unique sightings of the four-horned antelope, the honey badger and leopard. We are happy to report that recently we installed high-resolution cameras for enhanced and improved quality of monitoring. Our Waghoba Eco lodge, Tadoba is poised to set new standards in eco-friendly construction and is all set to be launched by October 2020. 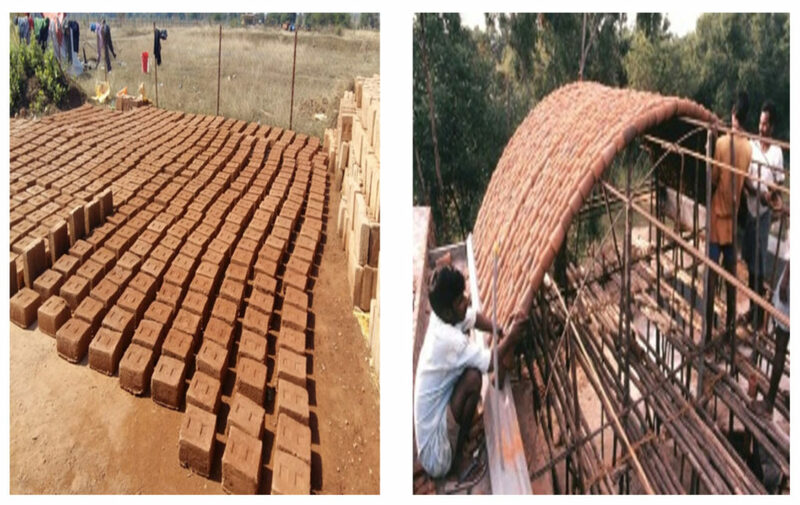 This lodge is being made of specialised handmade Adobe bricks and Guna Vault roofs, a unique path-breaking endeavour in eco-construction. Outlook Business– The Good Life- An Eco-Luxe Stay! 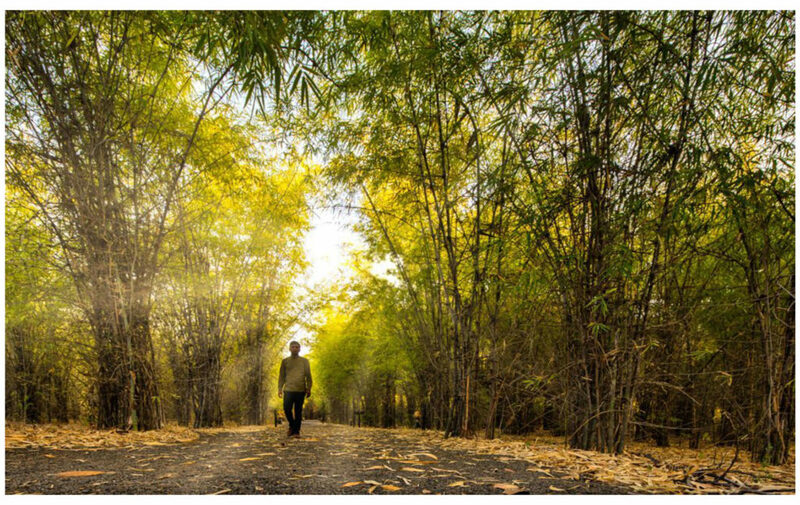 For the first time in India, Pugdundee Safaris brings to their guests the benefits of Forest Bathing, also known as Shirin-Yoku (in Japanese) or Forest Immersion. Forest Bathing involves spending time in nature to invite healing interactions. It also works on the philosophy of not just healing oneself, but also healing the forest (or the river, desert, or whatever environment one is in). This technique guided by trained experts helps boost mental and cognitive performances, kick-start creativity and enhance the cardiovascular and immune system. 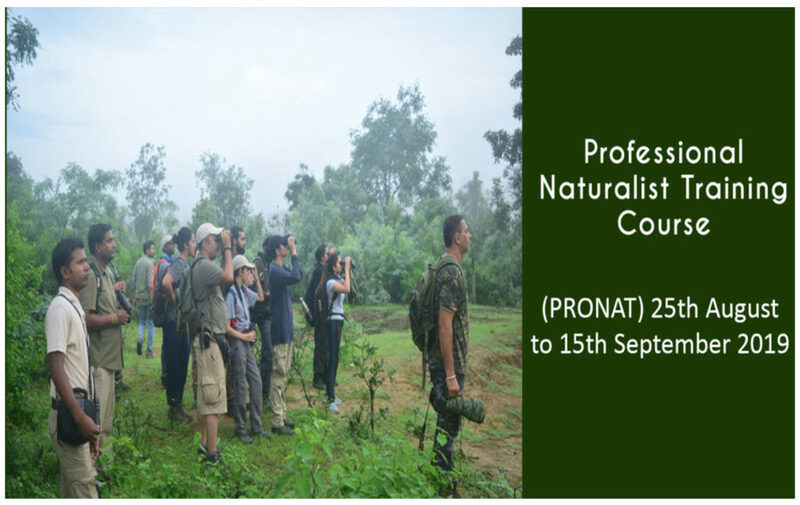 Professional Naturalist Training program- This twenty-one day program is an endeavour to assist passionate nature enthusiasts to upgrade themselves as professional naturalist with thorough knowledge and skill sets. This program will be conducted from 25 August 2019 to 15 September 2019. 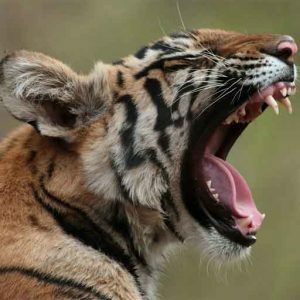 For more information visit- Pugdundee Safaris. 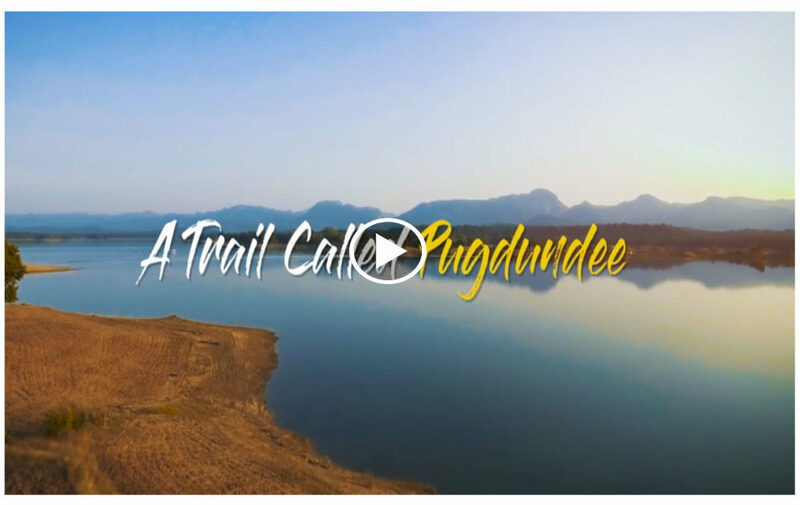 Our tenth year was marked with a special film that captured the true essence of our beliefs and offerings at Pugdundee Safaris. What began as a simple dream in 2009, has translated into a path-breaking journey in eco-tourism. Those were an exciting few months and the months ahead will continue to be equally promising with our gaze firmly intact on sustainable conservation and eco-tourism. Till we meet in the next quarter, let’s all do our bit to preserve this beautiful planet. After all every little effort, however small counts. Posted on April 6, 2019 by pugdundee blog. 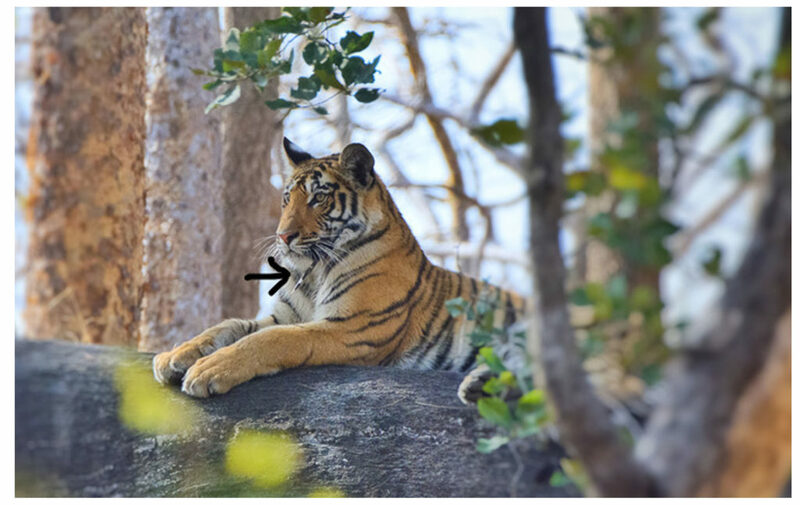 This entry was posted in Newsletter and tagged forest bathing, nature photography, Outlook Traveller Boutique Awards, pugdundee safaris, wildlife. Bookmark the permalink.